In large bowl, mix sour cream dip and salsa. 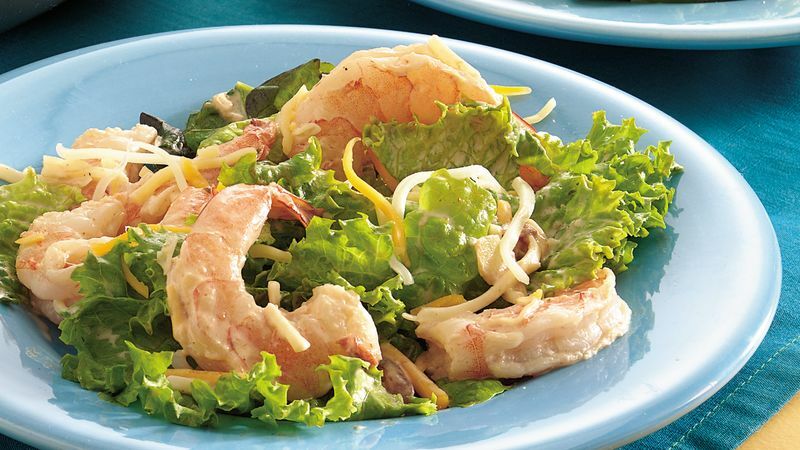 Add lettuce, shrimp and 1/2 cup of the cheese; toss to coat well. Divide salad evenly onto serving plates. Sprinkle with remaining 1/2 cup cheese. To peel shrimp, open shell; peel shell away from body of shrimp.